Web application designed to find potential hybrid energy solutions for GE’s Ecomagination. 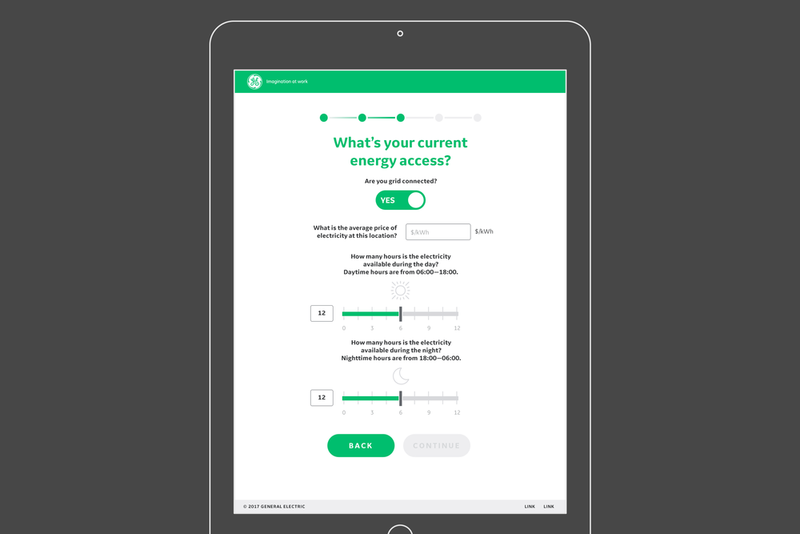 GE’s sustainability focused Ecoimagination asked to create a web app to serve sales teams and customers with a simple way to find alternative energy solutions. Working closely with the development team, we thoughtfully followed GE’s brand guidelines and designed a functional app and icon system.